Did you know that LinkedIn has 347 million users and that 2 new members join every second? This is not a network filled with people looking for a new job, but rather a network from various industries and universities looking to exchange best practices, ideas and advice. When I search for “supply chain” in my network, 1st to 3rd connections and group members, it turns up that 4,424,999 professionals are mentioning this term, and 462,123 individuals has supply chain in their title. If you search for supply chain groups section you will find 5,413 groups covering the topic. LinkedIn is a fantastic tool to follow influencers, observe and get advice on supply chain best practice. 1. Supply Chain Today – Supply Chain Today keeps up to date on the latest news, trends, and job opportunities. We are looking for people who want to actively participate in our collaborative community. It is one of the biggest supply chain groups on LinkedIn. 2. Logistics and Supply Chain professionals – This is a group for Logistics and Supply Chain professionals. Goal is to share knowledge and stress the importance of supply chain management in today’s competitive environment. 3. SCM World LinkedIn Group – The SCM World community accelerates collective learning and performance by harnessing the knowledge of the most forward-thinking supply chain practitioners, shared through industry-leading research, best-practice exchanges, peer networking and events. 4. Supply Chain Minded – Supply Chain Minded is a very active and fast growing online community in Supply Chain for Planning, Sourcing, Manufacturing, Delivery and Reverse Logistics professionals. 5. Supply Chain Optimization – We are joining together to network, to learn, to develop business, Jobs, careers, certification opportunities, to participate in best practice sharing, and both maintain and build new relationships. 6. World Class Supply Chain Management – This is an independent group not affiliated with any specific company, industry or group. It seeks to bring together the best minds in Supply Chain Management, Procurement, Project Management, Inventory Management and technology to share knowledge and experiences so that members across the globe can benefit. 7. Supply Chain – Insight – Share and Learn – This group is to discuss current issues in the supply chain, impacting factors, solutions, share ideas, and discuss trends and general future movements in the Supply Chain. 8. The Logistics & Supply Chain Networking Group – Networking group for Logistics & Supply Chain Executives. This probably the group with the most members among the It is one of the biggest supply chain groups on LinkedIn. 9. SCM Professionals – Networking group for professionals involved in all areas of supply chain management including Procurement, Strategic Sourcing, Logistics, Quality, Contracts, Inventory Management, Warehousing, Purchasing, Materials and SC optimization. 10. ISM – Purchasing & Supply Chain Manager Professionals – A collection of professionals in the purchasing and supply management world. It is one of the biggest supply chain groups on LinkedIn. 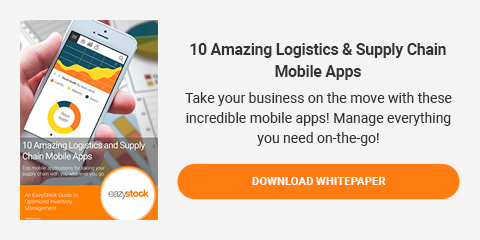 For more ways to easily discover best practices for Supply Chain Management, take a look at our top Logistics & Supply Chain mobile apps here!